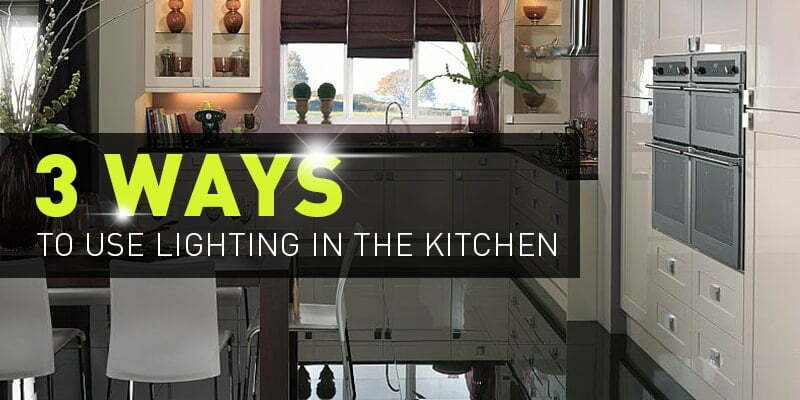 Lighting is a fundamental part of the home, especially when it comes to the kitchen. It can be used to evoke different moods and can completely transform your space, highlighting key areas of the kitchen. From overhead lights to spotlights and LED countertop lights – there’s something to suit every style. One of the first things to consider when buying a new kitchen is where you will need the most light. Overhead lights are fantastic for being your main power source of light, but it’s also a good idea to highlight your cook space so you can see exactly what you’re preparing. Under-cabinet lighting is great for this as it will cast minimal shadows whilst giving extra light to the areas that need it the most. LED lights are a fantastic way to pick out key design features of the kitchen. They can bring a modern twist to any style and are available in a variety of forms and colours to compliment your home. Create the perfect atmosphere in your kitchen with mood lighting that can be easily adjusted. Whether you want a bright, awakening look or something more relaxed and calm, dimmer lights can help you achieve the ideal setting. We offer a variety of lighting solutions at Direct Kitchens that can help bring your home to life. Our experienced designers can advise and help you every step of the way. Visit our Sheffield showroom to find out more or call us on 0114 240 0158.